LaMarche A12B | Powerco™ Canada Inc. 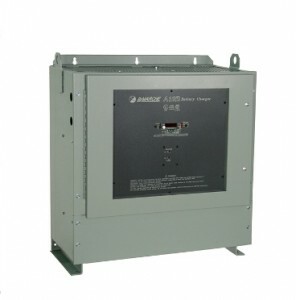 The LaMarche A12B Series Filtered Battery Chargers / Power Supplies are engineered for the demanding requirements of Switch Gear applications,Industrial Process Controls and Communications. The LaMarche A12B is synonymous with quality, performance and outstanding reliability among Electric Utility, and Industrial users. This is a product that has withstood the test of time and is quite simply the most reliable DC rectifier on the market! With its inherent robust design and unmatched reliability, the LaMarche A12B is a stellar performer. When you need a worry free operation, rely on the LaMarche A12B to give you that peace of mind. Its reliability is unmatched with an MTBF (Mean Time Between Failure) in excess of 225,000 hours. It is not surprising that power plant engineers have made this workhorse the standard in the industry throughout the years. We are so confident in the reliability and performance of our A12B Series that we back it up with an unparalleled and industry leading 10-year warranty. All units incorporate magnetic amplifier circuitry coupled with silicon diode rectifiers, which require virtually no aging adjustments. Designed to carry continuous and intermittent loads up to the maximum rated output. These fully automatic chargers feature output filtering to 30mV RMS for single phase units and 100mV RMS for three phase units with or without a battery.